January 30, 1902: Archimandrite Raphael Hawaweeny, head of the Syro-Arab Orthodox Mission in America, began a pastoral journey to Mexico. Later this week — on February 3 — he made a brief stop in Cuba en route to Mexico’s Yucatan Peninsula. St. Raphael remained in the Yucatan for a month, until March 2. To his great surprise, he found not only Arab Orthodox Christians, but also many Mexican Catholics who were interested in converting to Orthodoxy. Unfortunately, this would be the only visit St. Raphael ever made to Mexico, and the missionary potential there was never realized. Incidentally, I’ve heard that the Mexican newspapers gave St. Raphael quite a bit of publicity, so if anyone reading this has access to Yucatan papers from 1902 (and can read Spanish), please let me know. 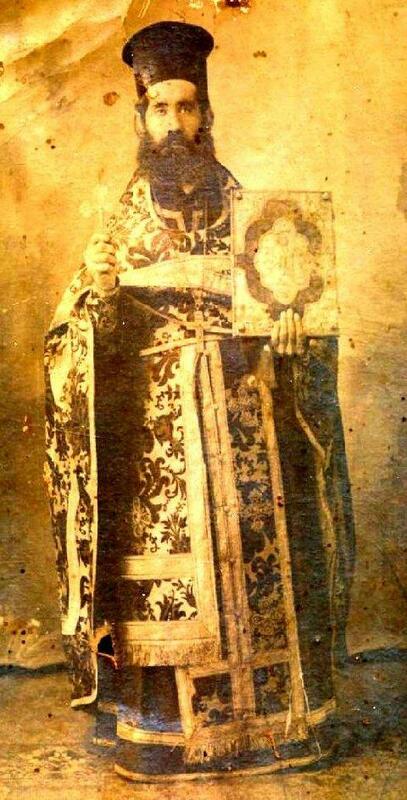 January 31, 1938: Metropolitan Samuel David, head of the Antiochian Archdiocese of Toledo, was excommunicated by both the Patriarch of Antioch and the ROCOR Holy Synod. The backstory was this: In 1935, the Arab Orthodox in America were set to elect a new hierarch who would, it was hoped, unite the long-divided factions of Antiochian Orthodoxy in America. The majority voted for Archimandrite Antony Bashir, who was duly consecrated in New York. But a strong minority favored Archimandrite Samuel David of Toledo. That minority found some other bishops to consecrate their man on the very same day that Bashir was consecrated. This division lasted until 1975, when Met Michael Shaheen of Toledo accepted subordination to Met Philip Saliba of New York. February 1, 1928: The future Greek Archbishop (and Assembly of Bishops President) Demetrios Trakatellis was born in Thessaloniki, Greece. May God grant him many, many more years! February 2, 1927: The Holy Synod of the Russian Metropolia (today’s OCA) created “The Holy Eastern Orthodox Catholic and Apostolic Church of North America” (more palatably known as the American Orthodox Catholic Church). This body — let’s just call it the AOCC — was led by Bishop Aftimos Ofiesh, who was simultaneously the head of the Metropolia’s Syro-Arab Mission. Whatever the intent of the Metropolia in creating the AOCC in the first place (and that intent is far from clear), Ofiesh himself viewed the AOCC as the vehicle for Orthodox unity in America. The AOCC was always on the fringe in terms of legitimacy, having been the ambiguous creation of the Metropolia, which itself was on shaky canonical footing in that era. (Only a few years earlier, the Metropolia had declared itself independent of the Soviet-influenced Moscow Patriarchate.) It wasn’t long before Ofiesh and his jurisdiction ticked off their Metropolia creators, driving the AOCC even further away from the mainstream. For all intents and purposes, the AOCC experiment ended in 1933, when Ofiesh married a young girl. However, as Fr. Oliver has recently shown, the AOCC did continue on until 1940 in the person of Bishop Sophronios Beshara, its last surviving hierarch. For a lot more on the AOCC, check out my conversation with Fr. Andrew Damick over at Ancient Faith Radio. February 5, 1873: The future Fr. Nicola Yanney was born in what is today northern Lebanon. Yanney eventually immigrated to America and settled down in Nebraska. After being widowed at a young age — and with a house full of young children — Yanney was chosen by his fellow Syrian parishioners in Kearney, NE to be their first parish priest. He traveled to Brooklyn and studied for the priesthood under St. Raphael, who had just been consecrated a bishop. In fact, Fr. Nicola was the first priest to be ordained by St. Raphael. Upon returning to Kearney, Fr. Nicola not only shepherded that community, but he was given responsibility for an immense territory — he was essentially responsible for all Arab Orthodox Christians living between Canada on the north and Mexico on the south, the Mississippi on the east and the Rocky Mountains on the west. Roughly speaking, he was the lone priest over all the territory that now comprises the Antiochian Diocese of Wichita and Mid-America. And he was a single parent.